For most of her life, Lynne has been a teacher mentor and guide. She has been an educator of children in the Montessori system and of adults in personal and intuitive development for over 30 years. Lynne works out of a deep understanding that we learn best while moving and when our senses are engaged. 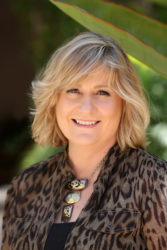 Her commitment to educating and coaching from this principle led Lynne to discover the transformational power of Equus Coaching and to fulfill her dream of offering an effective, integrative and sensory approach to personal healing and development. Lynne’s integrative style allows for a dynamic interplay between the intuitive nature of horses and our own sensory engagement with the present moment. She facilitates this process with sensitivity and insight which supports each individual in the awareness and changes that emerge. Her coaching style also draws upon her life coaching skills as a graduate of Martha Beck Life Coach Training and as an Elite Master Practitioner of Bioenrgetic Synchronization Technique with Morter Health, working with both people and animals.